OPENING NIGHT: Four years after her Oscar®-nominated breakthrough role in Gone Girl, Rosamund Pike delivers a breathtaking, career-defining performance in A Private War, transforming herself into the gravel-voiced, eye patch-donning American war correspondent Marie Colvin. Spanning nearly two decades, this powerful drama, which marks the narrative feature debut from Oscar-nominated director Matthew Heineman (Cartel Land), showcases the fearless dedication that pushes Colvin to the top of her otherwise male-dominated field, reporting from the dangerous frontlines of the Sri Lankan civil war and the Arab Spring. But that hyper focused, singular passion isn’t without a price, taking a toll on Colvin’s personal relationships as well as putting her own safety in jeopardy. Co-starring Stanley Tucci, Tom Hollander (In the Loop), and Jamie Dornan as Colvin’s trusted photo journalist partner Paul Conroy, A Private War is a gripping testament to both Colvin’s tenaciousness and Pike’s dedication to her craft. 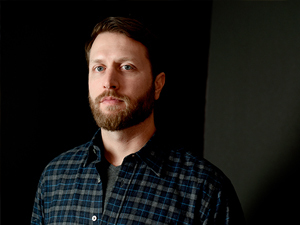 Matthew Heineman is an Academy Award®-nominated and Emmy Award-winning filmmaker. Heineman recently directed and executive produced The Trade (2018), a five-part docu-series about the opioid crisis. His film Cartel Land (2015) was nominated for a Best Documentary Feature Oscar® and won the Outstanding Directorial Achievement in Documentary Award from the Directors Guild of America (DGA). He won a second DGA Award for City of Ghosts (2017). Heineman’s other work includes Our Time (2009), Escape Fire: The Fight to Rescue American Healthcare (2012), and the HBO series The Alzheimer’s Project. A Private War is his narrative feature debut.